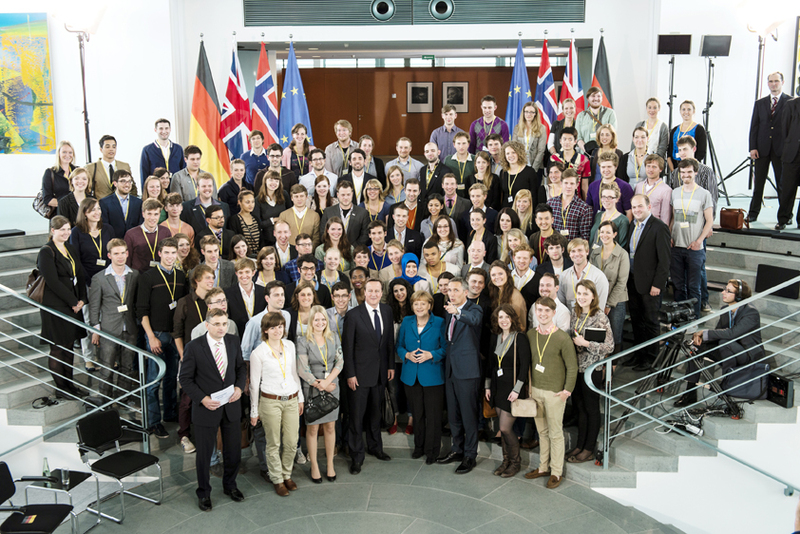 For Germans, the Hertie School of Governance is quite costly – it’s a small, international private school and is one of the more expensive universities in the country. For me and my fellow Americans, however, choosing to undergo our graduate degrees in Berlin has been a steal compared to studying in the United States. Students from more than 40 countries study at Hertie, here in the heart of Berlin, pursuing Master’s degrees either in Public Policy or International Affairs. The courses offer professors, curriculum, and academic advice of an extremely high caliber. The fact that Hertie is a private school is very evident during classes and events, guest speakers, and extracurricular activities. I’ve always felt like a small fish in a big pool with Hertie’s brilliant international community. Getting my Bachelor’s degree wasn’t as enjoyable. I did my undergraduate studies at a public school in California, and was one of 33,000 students. Our tuition was exorbitant, and continued to increase each year. I worked 30-40 hours per week during college and still left school with more than $30,000 in student debt (and that’s cheap in the U.S.!). I wanted to pursue a master’s degree, but could never afford it. Most Public Policy schools in the United States cost a minimum of $40,000 per year, and the most highly ranked programs, such as those at Georgetown and Columbia, could cost upwards of $ 65,000 per year! Furthermore, the majority of high ranking schools are in extremely expensive cities, so one would either need to work constantly, or take out more loans to cover living expenses. This just seemed illogical to me, and I couldn’t bring myself to take out a $100,000 loan for two years of school. I decided to apply to schools abroad … a feat which is much easier done than said. Everything was logical, there were no fees for applying, and no GRE requirements for German schools. The application process was much less expensive and intimidating than that of American schools! I applied only to Hertie and was notified of my acceptance just three days later. For the most part, graduate programs in Germany are extremely inexpensive by American standards, usually running less than $5,000 per year. Hertie is more pricey, costing about $15,000 per year. I don’t have to take out loans for living expenses, since Berlin is so cheap and I can work here under my student visa. Rent in Berlin runs about $350 or less for enormous rooms in gorgeous apartments throughout the city! My quality of life here is much higher than it would have been studying in an American city. Hertie offers part-time student jobs and is extremely good at assisting with the sometimes terrifying German bureaucracy. If you’re thinking of applying to graduate schools in America, you’re about to make an extremely expensive mistake! Coming to school in Germany really has been the best decision of my life. In June 2017 I’ll be graduating after defending my thesis on radio and the Democratic process. I was able to do a “professional year” between my two years of study and spend some time working at National Public Radio (NPR) and Deutsche Welle (DW) in Washington, D.C., experience I would have never gotten if I hadn’t studied in Berlin. The best part, however, is that I’ll be able to start my career without the stress of debt weighing on my shoulders. I’ll be able to seek opportunities for myself, and not just because I need to work feverishly to pay off loans. In the United States, education is a privilege and not a right. I love a good deal, and I’m extremely glad I decided get my Master’s Degree in Germany – for a fourth of the price it would be in the United States! Jill Beytin attends the Hertie School of Governance in Berlin, Germany, pursuing a Master’s degree in Public Policy. She’s originally from the San Francisco Bay Area, and in her spare time, she enjoys reading, seeing live music, and cooking. Budding global entrepreneurs should consider studying in Spain, setting up their company in the UAE and networking with their Mexican counterparts, additional research produced by the Financial Times suggests.